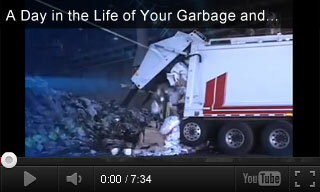 Explain the recycling processes for aluminum, plastic, glass, and paper through educational videos about waste management. Related classroom activities will educate kids about reusing materials, reducing waste, and recycling. These environmental science resources are great teaching tools for Earth Day (April 22) and America Recycles Day (November 15). Watch these videos to learn about the recycling processes for aluminum, plastic, glass, and paper. 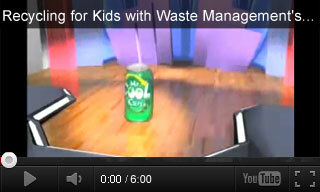 Take a closer look at the recycling process with Waste Management's Mr. Cool Can. This video follows paper, plastic, glass and aluminum through the waste management material recovery facility. Learn about the journey trash and recyclables take through the Sunnyvale Materials and Transfer Station in Sunnyvale, California. In this video, students see the manual and automatic sorting processes for recycling and waste disposal. They're also reminded of ways to reduce landfill waste. 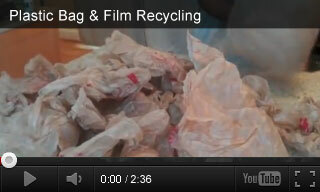 This video explores how polyethylene bags and packaging can be given a new life. Learn how your plastic bags and films can be recycled to make products such as Trex composite lumber. How Can Different Polymers Be Identified?